Make the cake first: preheat the oven to 350 degrees. Grease and paper and grease two 8 inch cake pans with at least a 1 1/2 inch side. Combine the cocoa and the boiling water and stir to dissolve the cocoa and leave to cool somewhat. Cream the butter and sugar, and then mix in the eggs, beating until rather light. Mix the dry ingredients and add them to the creamed mixture alternately with the cocoa mixture. Make sure all is mixed well, but don't over-beat. Pour the batter into the pans and tap the pans on the counter to flatten and remove any bubbles. Bake for about 35 minutes, until done. While the cakes are cooking make the ganache. Remove from oven and place onto a cooling rack. After about ten minutes run a knife carefully around the edges of the cakes, then turn the pans over on the rack and leave to let the cakes fall out. While the cake baking put all the ingredients for the butter cream except the icing sugar into a microwavable dish and heat in the microwave just enough to melt the butter and the chocolate. Remove from the microwave and give a good stir to make all smooth. Add the icing sugar and beat with a hand mixer to make all smooth. Eject the beaters and leave them in the chocolate mixture, cover the bowl with plastic wrap and place in the refrigerator until very hard. This will take at least two hours. When the butter cream is good and hard, take from the refrigerator, remove the beaters and place them in the machine, and starting on a slow speed, and increasing as you go, beat the butter cream until nice and smooth and spreadable. As you beat it it will warm up a bit and become spreadable. You want it to be soft enough to spread on the delicate cake. Then get the plate for the cake (put a doily on it if you like). Cut the layers in half. Put the first half layer on the plate, cover with about 1/4 of the butter cream, and so on. When you put on the last layer, do not cover it with the butter cream, but instead, use the remaining butter cream to fill in the chinks on the side of the cake, so that the edge of the cake is all even and smooth. Then put the cake into the refrigerator to chill thoroughly. When ready to finish the cake, put the whipping cream into a bowl and place in the freezer for about 10 to 15 minutes to chill. 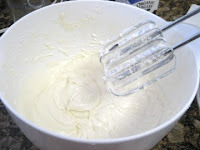 Then place the sugar and vanilla into the bowl with the cream and beat until nice and thick for spreading on the cake. If you like you can reserve a bit of the whipped cream for piping on the cake. Cover the cake with the whipped cream. I made this for the baby shower/tea for Sarah, and it was a really big hit. In a large mixing bowl, and using a wooden spoon, cream the butter, sugar and eggs. Combine the flour, baking soda, and salt. Stir in the dry ingredients alternately with the buttermilk, adding them in three additions each. Spoon 1/3 of the batter into the bundt pan. Carefully place blueberries on top of the batter. Carefully spoon on another 1/3 of the batter, and then carefully add more blueberries. Bake for about 60 minutes, making sure a toothpick comes out clean. Let cool for about ten minutes, and then invert to remove the cake, and place on a wire rack to cool. When cool, mix the lemon juice and sugar, and heat a bit in the microwave to melt the sugar. Place the cake on a serving plate, and carefully poke little holes in the cake in a symetrical pattern. Then slowly spoon the lemon syrup over all of the cake until it's all spooned on. Preheat the oven to 50 degrees. Butter and flour the madeleine molds and place in the freezer. Place the eggs and sugar in a kitchenaide mixing bowl and place over simmering water and stir until creamy and lukewarm. Remove from the heat and put into the mixer and beat until cold. Add the flour gradually, mixing with a wooden spoon, then the butter and the flavoring. Get the molds and fill them 2/3 full. Bake until done - I will record this time later. You want the madeleines to puff up in the middle. Place on a rack to cool. Yields 24 to 30 small Madeleines. This is not a sturdy brownie, but a lovely delicate and rich brownie, a bit on the soft side, like a truffle. Preheat the oven to 367 degrees. Grease and flour an 8 x 11 or 8 1/2 x 12 baking pan or dish. I have a fluted pan with a removable bottom. Put the chocolate and butter and brandy into a big microwavable dish and microwave to melt the chocolate. Give it a good stir. Stir in the sugar, then stir in the eggs, one at a time. Then stir in the flour and salt. Finally, stir in the pecans. Pour into the pan and bake for about 30 minutes. If it's not cooled it will crack. This pie is a great addition to the Thanksgiving line-up of pies. It's definitely one of my favorites. 3 1/2 ounces bittersweet chocolate, chopped up. Put the nuts into the pie shell in an artistic fashion. Put the chocolate and butter into a fairly large microwavable glass bowl and gently melt in the microwave, and stir well to combine. When melting chocolate it is always good to sneak up on it, using the microwave but doing so at shorter intervals than might seem needed. Stir in the sugar and the corn syrup. And then stir in the vanilla or brandy. Then stir in the eggs, one at a time. Cool slightly, then carefully pour the filling over the nuts so as not to disturb the artistic arrangement. Bake for 30 minutes. Then reduce the heat to 275 degrees and bake for 45-50 minutes more. Cool for 2 hours before eating. Grease and flour a 10 inch flat tube pan, see picture. Combine the flour, baking soda, baking powder, salt, and cinnamon. In a large bowl, using a wooden spoon, mix the sugar and the oil. Stir in the eggs, one at a time. Stir in the dry ingredients. Stir in the raisins and sherry. Stir in the pecans and coconut. Spoon into the pan, and bake for 65 minutes. Let cool for about 10 minutes, then loosen the ring, and carefully turn the cake out onto a proper sized cake plate. If you like, you can serve this with a cream cheese frosting on the side. Let people who are eating the cake cut a piece and then they can spread on the icing like jam on a piece of bread. Put into a not too big bowl, and beat with a hand mixer until smooth. This particular dessert was declared by my family to be absolutely fabulous. I made it using a very shallow pie plate instead of placing it on a baking sheet, as I didn't want to have stuff run all over the place. In a sturdy bowl, mix the dry ingredients. Add the butter and shortening, and mix them in using a pastry blender, or your fingers if you like. You want it the consistency of rough cornmeal. Using a fork, stir in the iced water, then finish mixing using your hands. You want everything to adhere. Then form into a ball or two, depending on how many you are making, wrap in plastic wrap, squish into a disc or discs, and refrigerate for about an hour. If you are making one galette, take the disc of pastry, thoroughly flour it, and roll out on a piece of parchment paper to about 13 inches in diameter. This figure is not a precise one. Just roll it out to a thickness that you like. If making two, you'll need two squares of parchment, and roll out to about 10 inches in diameter. Place the pastries on whatever you are going to cook them in or on. Smear some jam on the center half of the disc(s). Sprinkle with the graham cracker crumbs. Put on the rhubarb, and sprinkle with the sugar. Place the cherries on top, then fold up the sides of the pastry around the fruit. Place into the oven for about 22-28 minutes. While the galette(s) are cooking, make a custard mixture. Add the sugar and stir. Then add the egg and stir quickly. Then stir in the vanilla. When the galette has finished its first phase of cooking, take it out of the oven and carefully spoon in as much of the custard mixture as it will hold, and put back into the oven to cook for another 12-18 minutes. You be the judge for when you think the custard has finished cooking. It should look fairly firm. If you don't have a scale you might find my recipes a bit confusing. But then I would really encourage all reasonably serious cooks to get a scale. Even a mechanical one will work. This isn't rocket science, but cooking is mathematical, and a scale really increases accuracy. Please note that I am not one of those cooks who measures exactly, so you need to be a flexible cook to use many of my recipes. And if it seems that I left an ingredient out on accident, maybe I did. Everyone should have a copy of this one. All of the basics are in it. 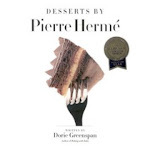 Pierre Hermé is a wonderful pastry chef. This is a delightful book, and the recipe for l'Opera is fantastic. This was a gift from my grandmother Nana. It is terrific for finding out about all kinds of cooking classics. This is in French, and is like a Betty Crocker cookbook of France. These are the recipes used at home in France. This book is my ultimate nutrition information book. This is also from Nana. It's a fantastic book about celebrating throughout the year. 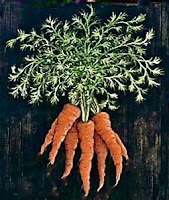 Great art work by Tasha Tudor and great recipes and stories by Mary Campbell. I love looking through this book, plus it has some great recipes and inspirations. This is my ultimativo Asian cookbook. I bought it in Hong Kong when we lived there. It is a pan-Asian book. There are some great classics in this one. My copy looks well used. 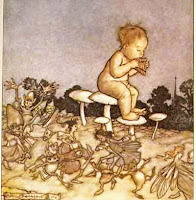 I suspect that any book by Jaffreys should be a good one.